We believe in providing the most state-of-the-art dental care to our patients. However, along with that "big city" technology, we offer the personalized service that you expect from your small town dentist. 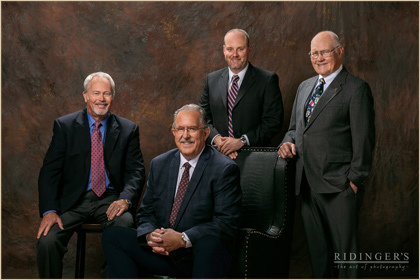 That is why Dr. Wilson and Dr. Evers approach all cases, from the routine to the highly advanced, with one tried-and-true rule: Paying close attention to their patients' needs and desires. To stay current in new techniques and technologies, Dr. Wilson an Dr. Evers are committed to continuing their professional education. Dr. Wilson and Dr. Evers are members of the American Dental Association (ADA), the Idaho State Dental Association, the Lewis-Clark Dental Society, the Seattle Study Club and DOCS Education, which offers courses throughout the United States and Canada promoting safe and effective techniques in oral sedation dentistry. While education is a top priority, Dr. Wilson and Dr. Evers care most about individuals and their needs — not in prescribing technologies or treatments just for the sake of providing them. Instead, they and their team assess the specific needs and past history of each patient. Then, based on the complexity of the issue and the patient's wishes, he recommends a treatment plan. Dr. Wilson and Dr. Evers believe strongly in preventive dental care to intercept problems that may worsen—or even become catastrophic—in the future. To meet this goal, they may prescribe a simple procedure, such as using a sealant on a child's tooth to prevent decay. In other cases, it may require a more complex treatment, such as periodontal care and extensive implant reconstructions. Because every person and every case is unique, the team works with the individual to choose the most appropriate course of action. The goal with all patients, at every age and stage of life, is to create a plan for a lifetime of excellent oral health.